Together, Rob Burkholder and Don Epstein grew their former company, NexusTek, from a bootstrapped IT services provider into the most successful SMB-focused managed IT services and business software consulting firm in Colorado. By systematically optimizing each operational element of the business, the team was able to achieve 16% year-over-year revenue growth with an industry-leading return multiple to shareholders. Along the way, Burkholder and Epstein led the acquisition of nine competing and complementary businesses in the Denver area. After achieving EBITDA performance in the industry’s 95th percentile, Burkholder and Epstein recapitalized NexusTek in 2014. They subsequently formed Meritas Capital Partners as means to leverage their combined experience in helping other business owners achieve their financial and lifestyle goals. The Partners have a unique blend of financial and operational experience having been involved in transactions as business owners merging acquired companies, selling a company, serving as members of the management team transitioning to new owners, and as private equity managers acquiring companies in cooperation with key managers. 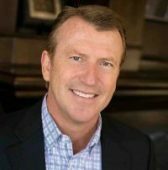 A technology executive for 20+ years, Rob Burkholder founded and served as the CEO of NexusTek from 1996 through 2014. Working with NexusTek in an M&A advisory role following the 2014 recapitalization, Rob sourced the two largest acquisitions in the organization’s history. Rob is a shareholder of NexusTek and serves on the Board of Directors. Rob’s experience as an entrepreneur and small business CEO, combined with his passion for technology-enabled business practices, give him unique perspective and insight into the challenges faced by business owners. Prior to NexusTek, Rob worked in business development roles representing ADP and Mitsubishi Semiconductor. Rob holds a B.S. in Finance from the University of Colorado, Boulder, and an M.S. in Telecommunications from the University of Denver. A 20-year veteran of the IT services industry, Don Epstein served as general manager, executive vice president, and CFO of NexusTek from 1999 to 2016. In addition to serving in key operational roles, Don was instrumental in diligence, closing, and integration activities for all company acquisitions. Don is a shareholder of NexusTek and continues working with the company in a consulting advisory role. Don’s technical background and management expertise allow him to apply technology solutions to common business challenges, resulting in optimized and scalable processes. 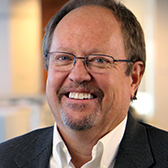 Prior to NexusTek, Don worked for KeyBank as technology manager and served in the U.S. Navy. Don holds a B.S. in Computer Information Systems from the University of the State of New York, Excelsior College. MX Logic, founded in 2002. John grew the MX Logic into the world’s largest independent provider of cloud-based email and web security. MX Logic was acquired by McAfee, Inc., in 2009. USA.NET, founded in 1995. John served as Chairman and CEO of USA.NET after raising over $100 million in private equity financing. At its peak, USA.NET managed more than 33 million mailboxes on behalf of its customers, including American Express, Palm, Netscape, Register.com and Goodyear. Telephone Express, founded in 1987. John served as Chairman and CEO of Telephone Express – a provider of long-distance services. John grew the company from a startup to over $80 million in annual sales before selling it in 1997. This sale resulted in a payback to the original investment partners in excess of 1,200 times their original investment over a nine-year period. John has served on several boards and has been involved in a wide variety of other startups, ranging from fulfillment services to direct sales and marketing ventures. He has also served on many civic boards and as a Peace Corps volunteer in the Philippines. A longtime supporter of the Colorado Springs Philharmonic Orchestra, John was executive producer of “Jumpin’ Jazz Kids – A Swinging Jungle Tale”, which was nominated for a 2013 Grammy Award in the Best Children’s Album category. 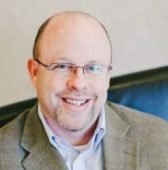 John has a bachelor’s degree in business administration from the University of Notre Dame and is a Certified Public Accountant. 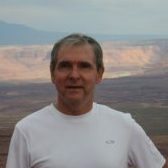 S. Lee Woodward is a semi-retired tech entrepreneur, attorney and farmer with 45 years of business and legal experience. He graduated from Purdue University in 1970 and from Indiana University School of Law in 1973. Mr. Woodward served as an attorney in the US Navy JAG corps and later was a partner in a two-person law firm in Indiana. In 1979, Mr. Woodward left private practice to join Western Farm Management Company, at the time the largest agricultural real estate firm in the country. His responsibilities included recruiting and supervising a sales force that operated from branch offices in 33 states. Mr. Woodward co-founded Computer Access in 1983 and was its President until the company was sold in 1996. Computer Access was a computer leasing, sales and services firm with 200 employees and annual revenue in excess of $100 million per year. The company was named Small Business of the Year in 1995 by the Denver Metro Chamber of Commerce and to the INC 500 list of the fastest growing privately owned companies in the United States in both 1994 and 1995. Following the sale of Computer Access, Mr. Woodward invested his time and a portion of his capital in two technology companies, both of which were subsequently sold to larger IT service firms. He co-founded Data393, a provider of co-location and managed IT services in 2002. At the time of the sale of Data393 at the end of 2007, the company housed and managed over 30,000 servers with associated firewalls, load balancing, data replication and backup. In addition to the successful growth and sale of four IT companies, Mr. Woodward has built and leased a commercial office building, and negotiated a favorable lease of the coal under his family’s 2,000-acre farm. He currently serves as Manager and Board Member of Stoneside Blinds & Shades in Denver, Colorado.